One of my favorite drinks, when I'm in Thailand, is their signature Thai Tea, you can either have it hot or cold but I prefer the cold ones, it's the best ever thirst-quenching drink for the hot and sunny weather. 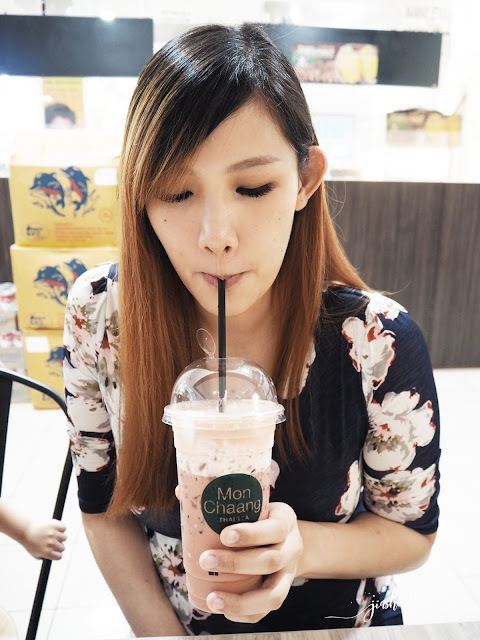 Moon Chang Thai Tea recently opened their 2nd branch inside AEON Jusco Sunway Pyramid. Mon Chaang Thai Milk Tea is made from freshly brewed tea leaves imported from Thailand and sweetened with condensed milk, each cup is made fresh at the end of the day you will get to enjoy the sweet creamy beverage. 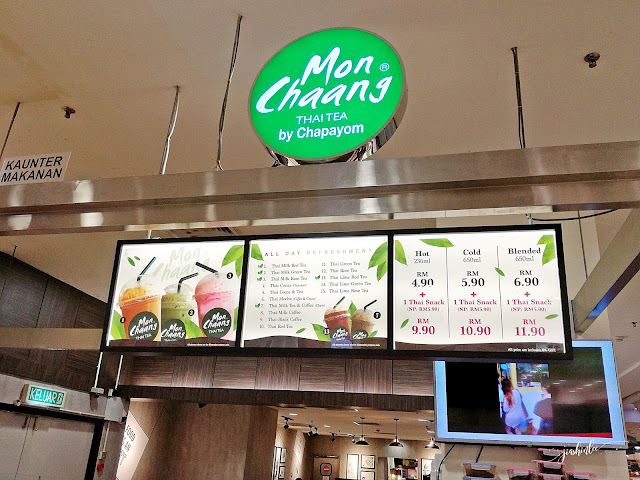 Mon Chaang offers 15 choices of tea and coffee for you to choose from starting from the signature Thai Red Tea and if you would like to try something different try out their Thai Lime series, it was really refreshing. My personal favorite was the Rose Flavored, it was sweet, creamy and altogether well-balanced flavor and after-taste, and for only RM5.90 which is super affordable, this is perfect for those who fancy a sweet drink. If you love snacking, Mon Chaang also offers halal snacks which are also imported from Thailand for RM5.90, combos are available as well for the price of only RM10.90. So don't miss out these crispy snacks while enjoy your cup of Thai Tea!